Having visited the wonderful ‘Bill Cunningham Facades’ exhibition at the New York Historical Society (please see my last blog post! ), the concept of ‘street-style’ was on my mind during a recent vacation to the city. New York is often cited at the epicentre of fashion, thanks in no small part to Cunningham himself, whose weekly ‘On the Street’ columns for the New York Times have charted the rise and fall of fashions since 1978. Cunningham first turned his attentions away from the runway and onto the streets when he was distracted from a fashion show by the chants of Vietnam protestors. The hippy sixties styles they wore, he claims, were far more inspiring to him than anything on couture runways. Ever since, while he keeps up with the darlings of design, Bill’s heart (and camera lens) has been dedicated to any fashionista that catches his eye strolling down Fifth Avenue. A glance through his columns documents the hit styles of each season, and Cunningham usually catches onto trends long before fashion magazines or blogs manage. 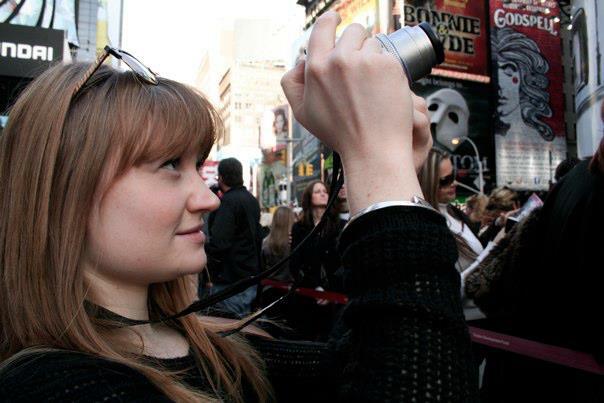 Although I am now living back in the UK, I spent a happy two years in New York City where I took my Master’s degree. My own style certainly evolved over my time in Manhattan. 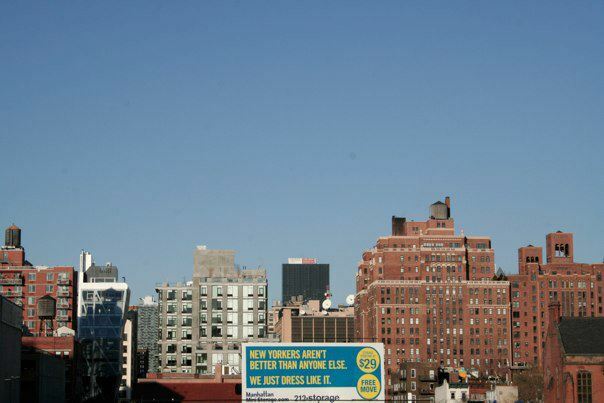 Unlike the rest of America where a car is almost mandatory for getting from A to B, New York is a walking city. Parading along the pavements (or, in US lingo, the sidewalks) all day is not conducive to high heels, so boots and brogues were in for me; heels and flimsy flats firmly out. My most dramatic style concession was to adopt a gigantic down coat that reminded me more of a sleeping bag or winter duvet than any garment I had ever seen. But in the bitter-cold winters that seem to stretch long into April, my former fashion snobbery melted (or perhaps just froze stiff) in the face of sheer practicality. In the summertime, sweltering temperatures and high humidity call for breezy ensembles – but always with a scarf or cardigan in hand to combat the overly air-conditioned shops, restaurants, offices, and apartments of NYC. Though the city is a veritable patchwork – where hundreds of languages are spoken, countless cuisines are consumed, and people across the broadest social spectrum congregate – no colour ever beats black. The little black dress, little black bag, little black boots, and little black sunglasses (and, of course, the little black credit card) are timeless style classics. But more than anything else, the most key element of street style in New York is attitude.